If you’re a regular reader you’ll be no stranger to my approach on constructing a quality wardrobe. It all starts with great investment pieces. The staples like a blazer or pair of jeans, bags, a great coat should all be items that you spend a little extra cash on. Build a solid foundation, with great quality pieces that you’ll wear everyday for years to come. Then seek out cheaper options if you want to get a lil trendy. I already wrote a post on how to create a signature look. Having a unique look you can fall back on in times of crisis means you don’t have to worry about looking great. Just looking at Victoria Beckham last year for example, she heavily relied on a monochrome uniform to give her a Parisian chic appeal. I talk about pushing comfort zones a lot on the blog. But you have to sometimes take risks and try things that you wouldn’t normally consider wearing. Even if you don’t eventually buy it, at least start trying things you wouldn’t normally consider. Actually trying something on and seeing yourself in it will help you think up new possibilities involving that piece. So next time you’re out shopping try on something you’d never usually consider. I don’t mean the eco-friendly type of recycling, but the one that basically means re-using your clothes. Although I hate the word (even though I used it still!) the principle is solid. A wardrobe full of clothes doesn’t equal more clothes to wear. One of the main things I do with my clients is teach them how to get more from their wardrobe but also how to be a savvy buyer. The last thing you want is an item that can only be worn with one other thing. 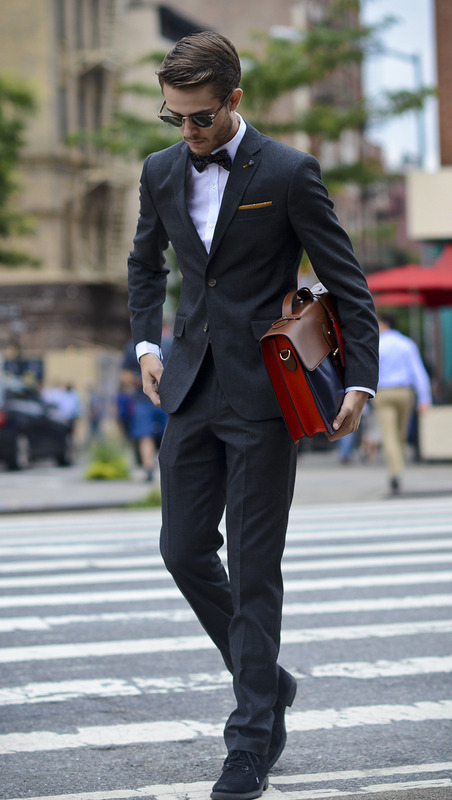 Make your wardrobe work harder, not your credit card. These style mavens know what looks good on them and what their best features are. If you’re hiding away your best assets then you’re not making use of what ya mama gave you! Great legs? Then show them off! Your clothes should always highlight what’s good about your body and celebrate it. Use accessories with a bit of thought, they’re a great opportunity to add your own personality. Take something that’s pretty normal and transform the mundane by adding a bit of ‘you’ with your accessories. Make the accessories the star of the show for a change and tone down the rest of your clothes. There’s no point wearing something if you’re worried about how you look in it. If you’re more worried about what others are thinking then you’re not going to pass and even the most stylish outfit will look odd. You need to strut your stuff! Walk with confidence, head held high like you’re a boss! Let me know if I’ve missed any or maybe share some of your own habits for supreme style! I think confidence is #1 really. You can wear the best most expensive item in the world and if you are slouching or trying to hide yourself when you walk it’ll still look cheap. Also knowing your body type and ensuring that the items fits you perfectly can make all the difference in the world. Yeah definitely Suzanne. You need the strut to pull off any sort of style. You don’t want to be worried in the corner afraid people are going to notice you. Likewise on the clothing being right for your body shape. That’s essential stuff, otherwise it will just look odd. Usually if you make an effort to show off your good bits you’ll tackle that. Quite often people do the opposite and try and hide the bits they don’t like about themselves. Which usually results in them wearing clothing too big that doesn’t flatter them in any way. I entirely agree, with personal style the thing that makes it so great is that it’s unique and should express who you are. Not everyone is going to look exactly how you do (or wear the same items as you,) so it’s important to personalise it, take risks even in small ways and walk confidently. I was just reading somewhere about Victoria Beckham’s “makeunder,” her style/beauty routine has definitely evolved over the years in a good way. Yeah definitely when I was looking for images you could see her transition. I think getting her own label and having to attend fashion week and mix it up with the fashion elite has probably rubbed off on her too. Gotta up my game – so a post re-read (and re-read…and re-read…and notes) is in order. No worries, if you need any advice help with anything just drop me an email and we can always Hangout again. Thanks Mira for commenting, by the looks of your blog, you’re doing just fine! Yeah totally, the post isn’t necessarily in order of importance. If you feel confidence is the number one habit then that’s fantastic. You’ve obviously got first hand experience of a time when you’ve pulled something off because you felt confident in it. Great post. These are definitely things that all style icons have. Another thing I think they have is the ability to discern which trends work or not. Hey Nancy! Thanks for visiting the blog. You’re right, they know which trends work for them and only dip into the ones that do. The rest of made up of classic items, again that they know work for them.